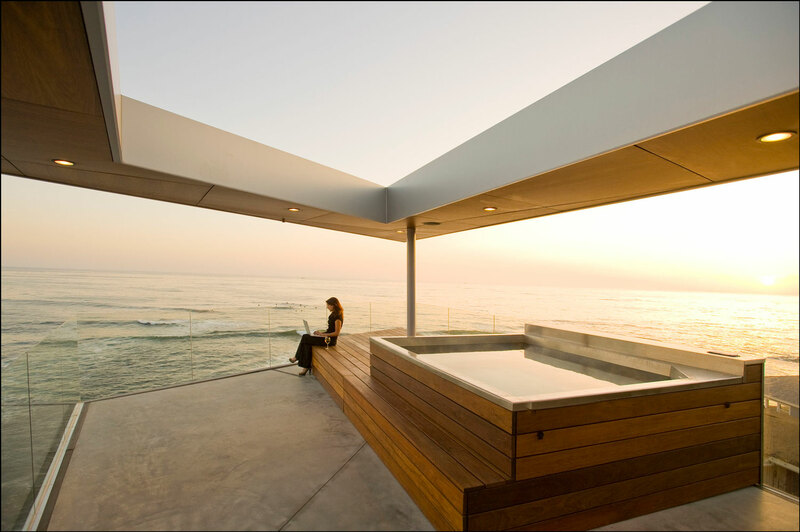 The Lemperle residence is designed by Jonathan Segal FAIA and is located in La Jolla, California, USA. 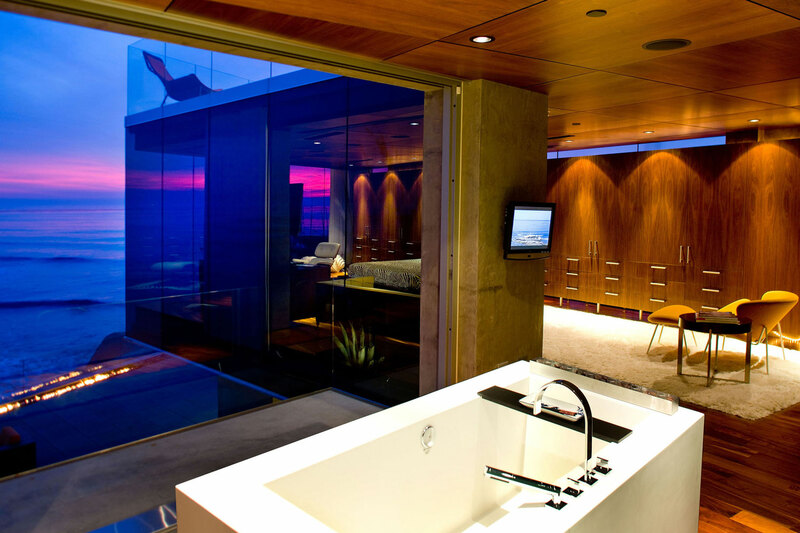 Sweeping glass walls provide panoramic views of its stunning oceanfront location. 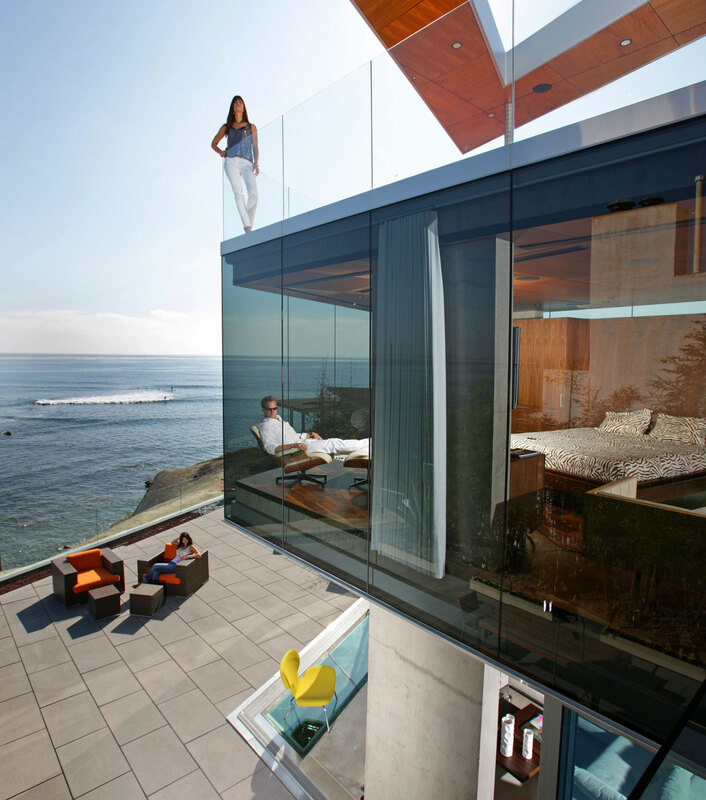 This ocean front residence promotes an outdoor connection through the use of expansive glass and deck areas. 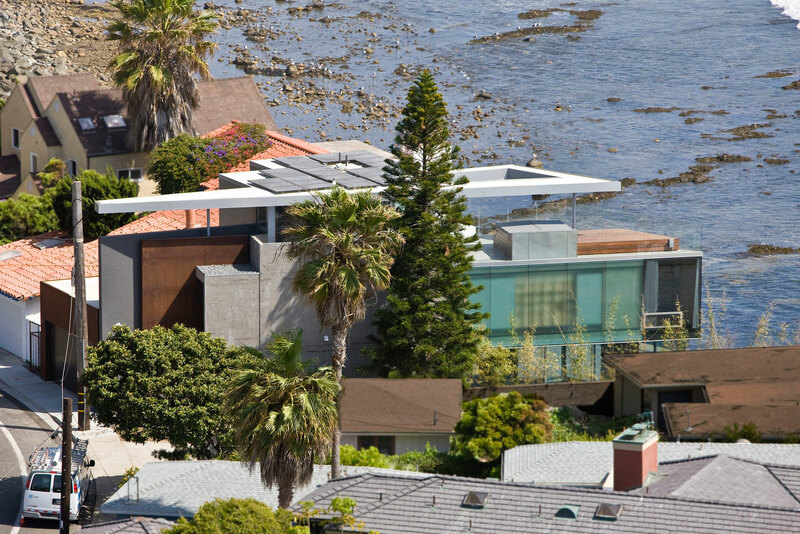 Due to the small pie shaped lot the house focuses outward away from the street onto the ocean. 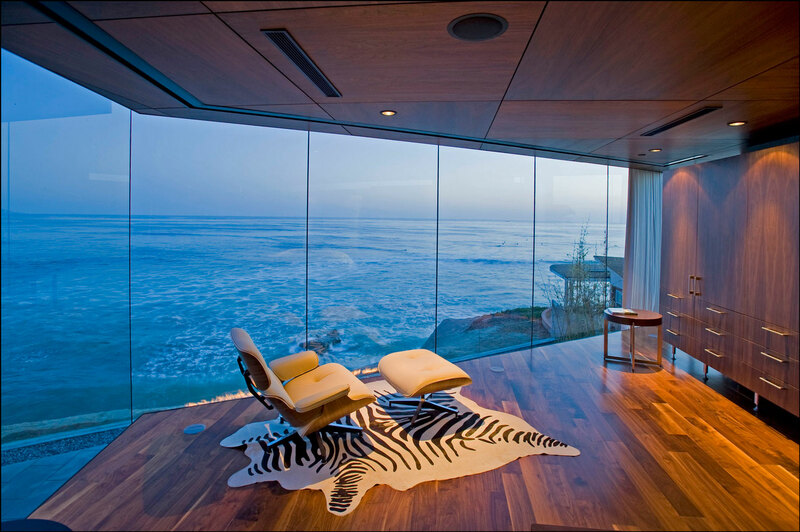 Every room above grade space in the house is forced to the ocean through the use of vertical and horizontal planes defining visual edges. These edges also create an air of privacy from the adjacent neighbors. 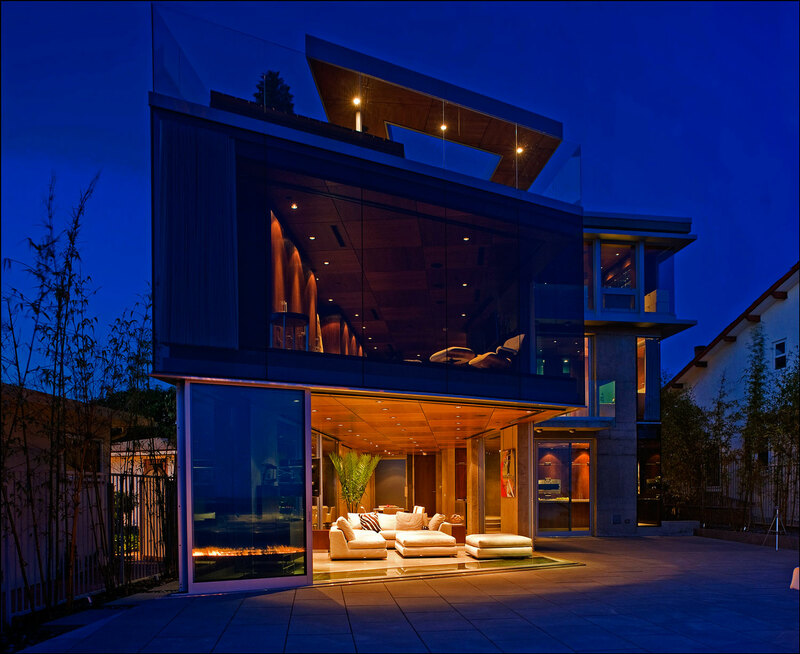 Entirely built of concrete, steel, and walnut the home combines warmth with a machine like precision. 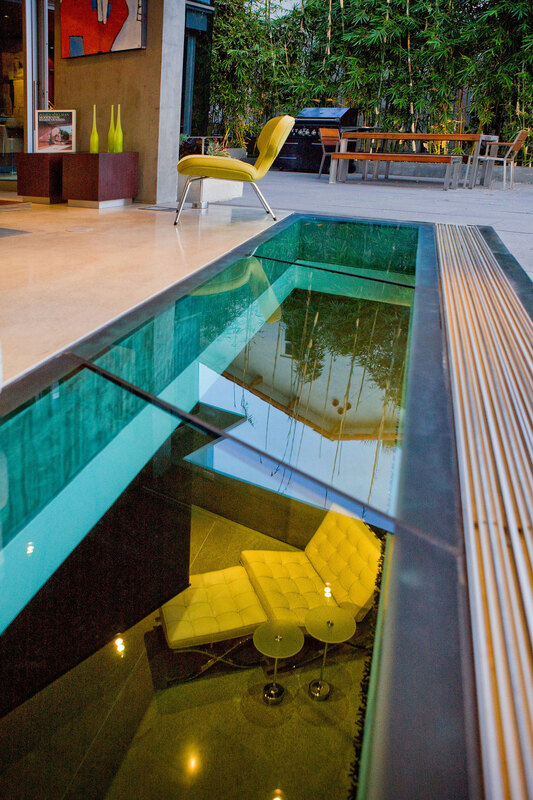 In addition to the above grade spaces the basement maximizes allowable floor area with lighting provided by glass flooring and light wells. Although very well concealed the home is almost entirely powered by highly efficient solar panels. In addition, due to the temperate climate cross ventilation provides all of the cooling needs, while heating needs are provided through high efficiency in floor heating throughout.